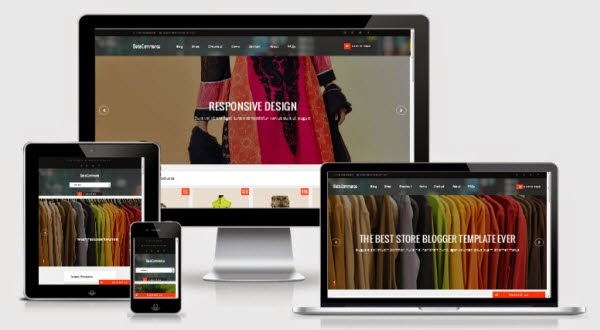 Today I'm going to teach you how to set up online shop into blogger blog for 100% free of cost using BetaCommerce Blogger Template. BetaCommerce is a perfect eCommerce solution for small business owners to quickly set up an online shopping store within minutes and starts selling their products with ease. 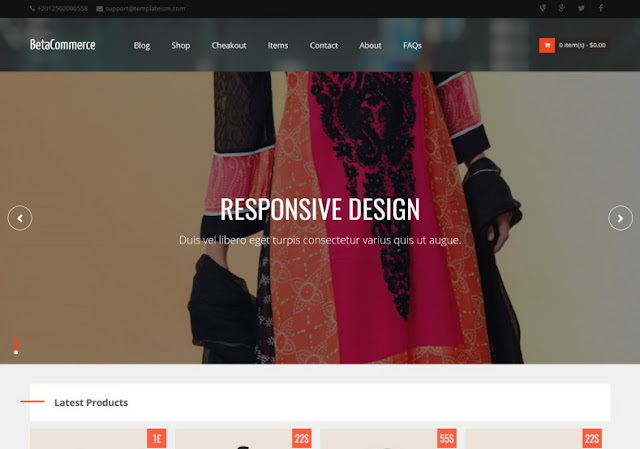 BetaCommerce Shopping Blogger Template provides you multiple options for customization, easy to use flexible admin panel, and tons of professional eCommerce solution plus features. It is suitable for every online shopping site, showcase, and even portfolio. This theme could be the turning point of your online business. 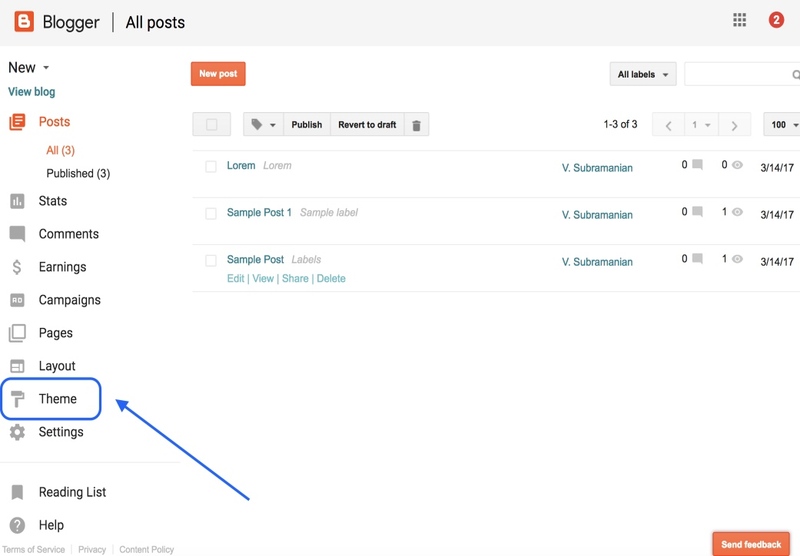 Access Theme Section: Choose (If you have multiple blogs) your Blog in your Dashboard that you want to change the template, and click “Theme” in the option panel on the left. 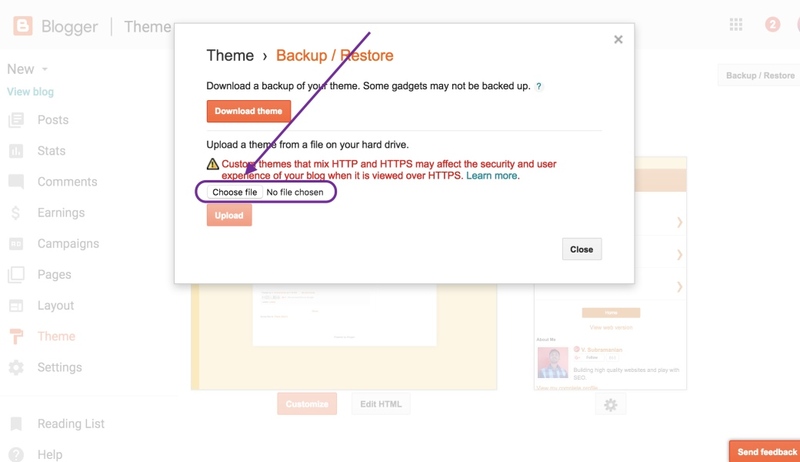 Access Backup / Restore: Look at the top right corner, you will see “Backup / Restore” button and click it on. Get ready to upload: Manage on pop-up windows and click “choose file” button and look for the folder that is created after extracted file that you have downloaded. 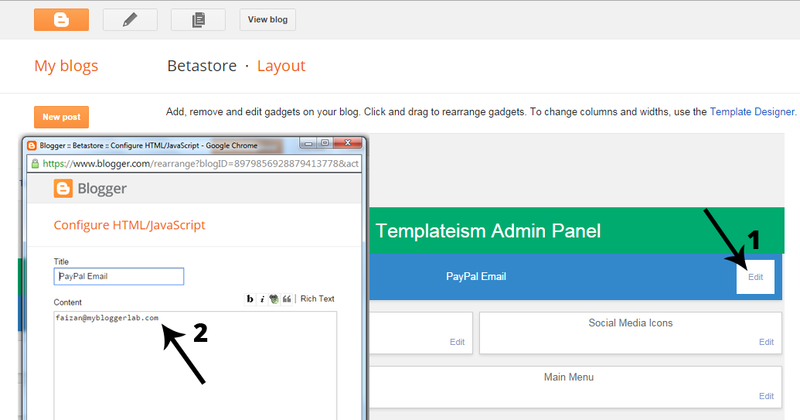 Start uploading template: Click “Upload” button. Now uploading process appears on your screen. 100% Pure Responsive: It has become a standard, that's why this template is completely responsive to almost all devices including Android, iPhone, Tablets, Desktops and etc. PayPal Payment Method: PayPal is one of the most trusted and used payment method by online buyers. Therefore, this theme supports PayPal integration. To integrate PayPal in this theme, you just need to input your PayPal Email address and that's it. For more details please check out documentations.html in your downloaded package. Billing System: To be able to create a professional Shopping store in Blogger, we must need to have all the information of the buyer i.e. address, phone no, no of items bought and etc. Therefore before anyone can proceed to the payment he must have to fill a billing form that will store all the information for you. All these information will then be mailed to your email address attached to that blog. Newsletter Feedburner Widget: Just to keep your users updated with new products, we have also added a newsletter Feedburner widget that would be helpful to increase more product sales. Featured Image Slider: Every online shopping store needs a featured area to showcase latest and discount products to increase their sales. This theme comes with an image slider that can easily be customized or edit with ease. Testimonial Page: To make a business success, reviews of users play's a key role. Therefore, we have also added a testimonial page where you can add reviews and views of your customers. Review Your Cart: Just before, users can proceed to payment they can also review the products they are going to buy. They can remove any product before pushing for payment.We are really hoping this template would be useful for independent business owners looking to kick-start their online shopping store in blogger. This theme comes with Admin Panel that you can access from the layout area. 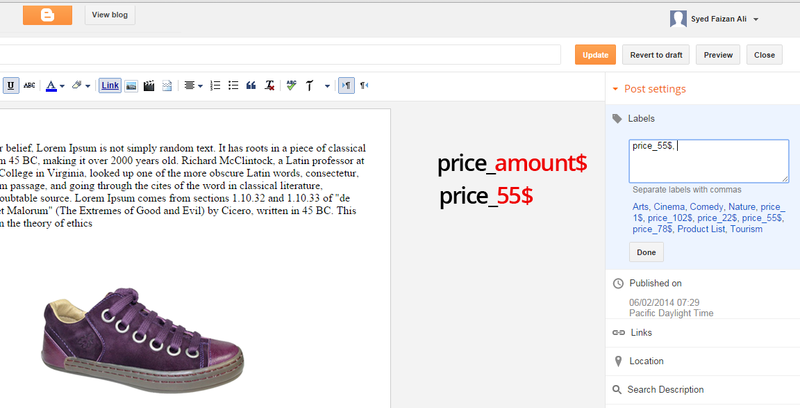 If you like this theme then, do share it with your friends working with the blogger. We are really hoping that our template would turn out be great for different business owners who are looking to expand their business by establishing an online shopping store on blogger. Feel free to share your thoughts, suggestions, and problems related to Mega shop template in comments below. 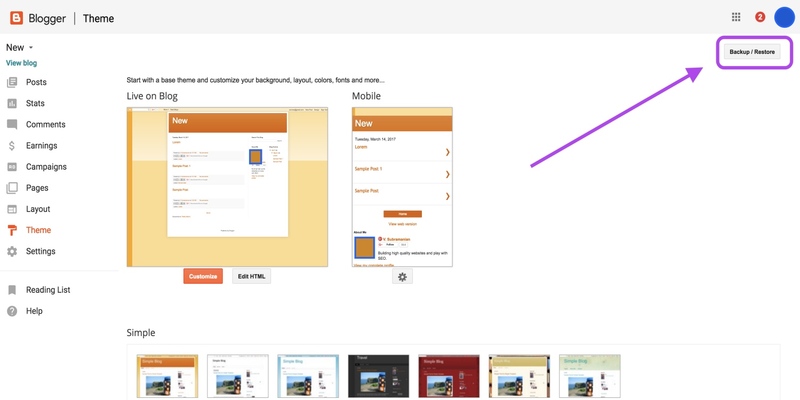 You can edit, add or delete slider slides with great ease using "Templateism Admin Panel"
From the list Select "Image"
You can edit, add or delete Testimonials with great ease using "Templateism Admin Panel"
The newsletter widget enables you to send automatic updates to your subscribers to their email inbox, its a great way to keep your users updated with your newly published articles. Every Thing has its price, so we have to put up the price for our different products. In Labels enter price_50$ (Where 50$ is the price of the product). Today I'm going to teach you how to set up online shop into blogger blog for 100% free of cost using BetaCommerce Blogger Template. BetaCommerce is a perfect eCommerce solution for small business owners to quickly set up an online shopping store within minutes and starts selling their products with ease.